How Much is Canada Visa Fee in Nigeria 2019? – Current Visa Fees. Cost of Canadian Visa Fee in Nigeria 2019… Do you have plans of visiting Canada? How much is Canada visa fee in Nigeria 2019? Do you want to know the most significant details? 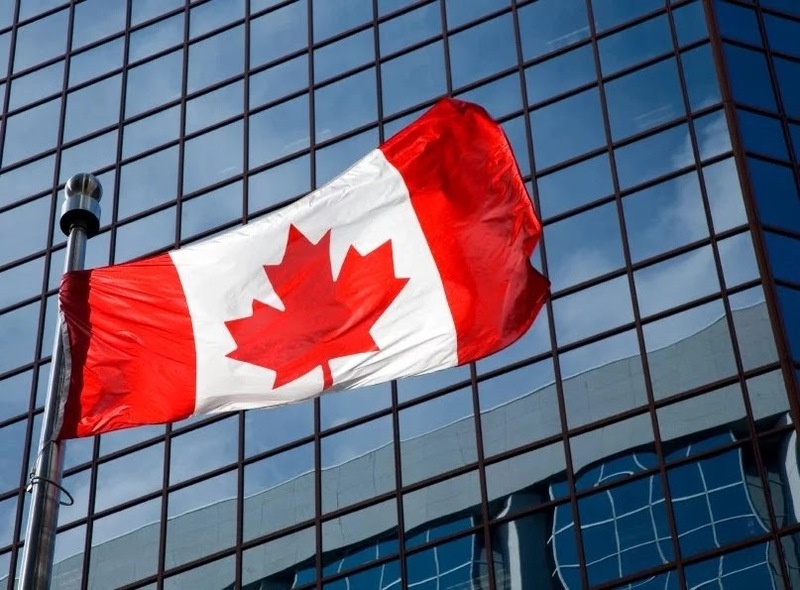 This article contains quick facts about the current Canadian visa application fees in Nigeria 2019. Read this article! How Much is Canada Visa Fee in Nigeria? Canada is a country located in the northern part of the North American continent. It is a highly developed country with a strong economy. If you want to visit Canada, you will need a visa. And you will have to pay for the visa. How much is Canada visa fee? The fee depends on the type of visa and on the goals you want to pursue when traveling to Canada. You can pay for the Canada visa either online, in the special VAC or visa office centers. To make payment online, you need to have a payment card. Online Application can be found on the website www.Canada.ca/eTA. You can apply online and pay a visa fee directly on the official website of the Canadian government http://www.cic.gc.ca. Canadian Visa Fees in Nigeria. You will be required to pay for the Visitor visa (super visa included) – 100 Canadian dollars ($ CAN) for one person. It does not matter if the visa is for single or the multiple visits. Note: 1 Canadian dollar costs 251.689 Naira (July 25, 2017). n applicant who wants to pay for Family. Visitor visa (five or more members) 500 $ CAN. All members of the family must apply at the same time and place. Your stay as a visitor prolongation – 100 $ CAN for one person. Restoring of your visitor status – 200 $ CAN. (You do not need to pay Visa fee). 2. Electronic Travel Authorization fee is 7 $ CAN. 3. Work permissions (prolongations included). Work permissions (prolongations included) for one person – 155 $CAN. Work permissions (prolongations included) for travelling group (three or more members) 465 $CAN. For a holder of an open work permit (not job-specific) – 100 $CAN. Restoring your worker status – 355 $CAN. Restoring your status costs 200 $CAN and getting your new work permission – 155$ CAN. IMPORTANT! Work permissions for performers group will only be considered if the group (three or more members) and their personnel apply at the same time and place. Besides, if visitor visas are needed, you have to pay for them separately. Concerning visitor visas, the group fee is only used for families. 4. Study permissions (prolongations included). Study permission (prolongations included) for one person – 150 $CAN. Restoring student status – $ 350CAN. Restoring your status costs 200 $CAN and getting your new study permission – 150$ CAN. For Nigerians, Biometric data is needed. It includes fingerprints and photo. You have to provide them to get a visitor visa, work or study permissions. WORKING VISA IN NIGERIA (Permanent Residence). Application costs 1540 $CAN. It includes fee for processing (1050 $CAN) and fee for permanent residence right (490$ CAN). Application (without fee for permanent residence right) – 1050 $CAN. Including your spouse or partner – 1040 $CAN. Fee for processing is 550 $ CAN and fee for permanent residence right – 490 $CAN. Including your spouse or partner (without fee for permanent residence right) – 550 $CAN. Including a depended child – 150 $CAN for one child. Application costs 1040 $CAN. It includes fee for processing (550 $CAN) and fee for permanent residence right (490 $CAN). Application without fee for permanent residence right – 550 $CAN. Including your spouse or partner – 1040 $CAN. Fee for processing is 550 $CAN and fee for permanent residence right – 490 $CAN. 3. Humanitarian and Compassive (the same fees as for Economic immigration). Application costs 550 $CAN. Fee for processing – 550 $CAN. Including your spouse or partner – 550 $CAN. Fee for processing – 550 $CAN. Application costs 815 $CAN. It includes fee for processing (325 $CAN) and fee for permanent residence right (490 $CAN). Your Application (without fee for permanent residence right) – 325 $CAN. The Minister of the IRCC may grant permanent resident status to an impermissible foreigner based on humanitarian and compassive or public policy foundations. 6. Fee for Permanent Residence Right. Fee for permanent residence right – 490 $CAN. You will be required to pay RPRF for the majority of permanent residence applications. It must be done when your application is endorsed. You have to get a permanent resident. Some categories are free from RPRF. For details see http://www.cic.gc.ca. 1. For adopted children and relatives. Sponsoring of your relative (19 years and above) – 1,040 $CAN. Includes Sponsorship fee (75 $CAN), fee for main applicant processing (475 $CAN) and fee for permanent residence right (490 $CAN). Sponsoring of your relative (19 years and above without fee for permanent residence right) – 550 $CAN. Includes Sponsorship fee (75 $CAN), fee for main applicant processing (475 $CAN). Sponsoring or including a dependent and adopted child or child for adoption costs 150 $CAN for one child. Sponsoring for only a dependent child (75 $CAN sponsorship fee and 75 $CAN fee for processing) or including one on an application with your relative (150 $CAN). Sponsoring of your relative (under 19 years old) – 550 $CAN. Includes Sponsorship fee (75 $CAN), fee for main applicant processing (475 $CAN). Including the spouse or partner of your relative – 1,040 $CAN. Fee for processing is 550 $CAN and fee for permanent residence right – 490 $CAN. Including the spouse or partner of your relative (without fee for permanent residence right) – $ 550 CAN. Sponsoring your parent or grandparent – 1040 $CAN. Includes sponsorship fee (75 $CAN), fee for main applicant processing (475 $CAN) and fee for permanent residence right (490 $CAN). Sponsoring your parent or grandparent (without fee for permanent residence right) – 550 $CAN. Includes sponsorship fee (75 $CAN), fee for main applicant processing (475 $CAN). Including the spouse or partner of your parent or grandparent – 1040 $CAN. Fee for processing is 550 $CAN and fee for permanent residence right – 490 $CAN. Including the spouse or partner of your parent or grandparent (without fee for permanent residence right) – 550 $CAN. Fee for processing fee (550 $CAN). 3. Spouse, partner or children. Sponsoring your spouse or partner – 1040 $CAN. Includes sponsorship fee (75 $CAN), fee for main applicant processing (475 $CAN) and fee for permanent residence right (490 $CAN). Sponsoring your spouse or partner without fee for permanent residence right – 550 $CAN. Includes sponsorship fee (75 $CAN), fee for main applicant processing (475 $CAN). Sponsoring a dependent child – 150 $CAN for one child. Sponsoring for only a dependent child (75 $CAN sponsorship fee and 75 $CAN fee for processing) or including one on an application with your spouse or partner (150 $CAN). Adopted adult (18 and older) costs 630 $CAN. Fee for processing is 530 $CAN and fee for citizenship right – 100 $CAN. Adult (18 and older) – 630 $CAN. Fee for processing (530 $CAN) and fee for citizenship right (100 $CAN). Adult without citizenship (18 and older) born by Canadian parent – 100 $CAN. Fee for citizenship right is 100 $CAN. Adopted underage teenager – (before 18) – 100 $CAN. Fee for processing is 100 $CAN. Underage teenager – (before 18) – 100 $CAN. Fee for processing is 100 $CAN. Have it in mind that it takes between 34 – 90 days or even longer for your Visa to come out so don’t be in a hurry. Ensure to apply on time if you are applying for a student visa or any type of visa, for example the Visa officer will be considering the time it may take to process your visa and the date you are supposed to resume at school or for a particular conference or seminar if there isn’t enough time,the visa officer may deny you a visa. Zero room for errors, fill correct and consistent information in your application. If your application contains errors, it may lengthen your waiting period or you may be denied a Visa. Ensure that all your documents and requirements are ready before application, get all requirements upfront to avoid unnecessary delays. Also make sure that you keep all the payment receipt issued to you,if your denied visa the money spent is non refundable so its advised that you get your paperwork and documentation ready before applying.